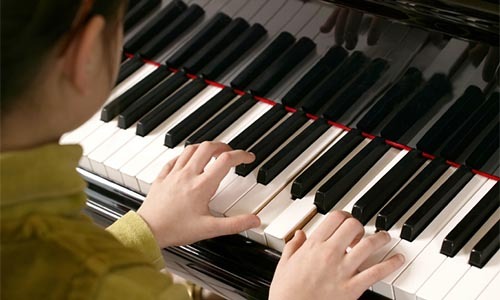 Private piano lessons are open to kids, teens and adults. Our teachers are certified with a mission to not just teach you or your child how to play the piano but to make it a fun experience! Beginner, intermediate and advanced piano students are welcome. There are performance opportunities throughout the year. Interview required- lesson day and time arranged during interview. Access to a piano or keyboard is mandatory. We ask for students to commit to a full semester of lessons (15 lessons).